Saber Interactive and Focus Home Interactive have released a Gameplay Overview Trailer for World War Z, the highly anticipated co-op shooter inspired by Paramount Pictures’ blockbuster film. Narrated by Saber’s Creative Director Oliver Hollis-Leick, the video dives into the intense action that players can expect while scavenging, running and blasting hordes of hundreds of zombies. 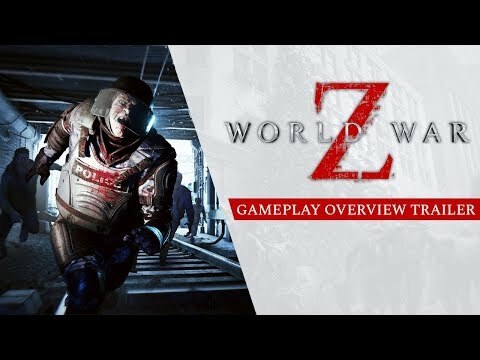 World War Z’s co-op campaign takes place across four episodes, each containing three chapters, set in New York, Jerusalem, Moscow and Tokyo. World War Z is expected to launch April 16th 2019 for Epic Store, PS4 and Xbox One. So it's Left 4 Dead on crack? I'm down with that.